Perfect Saturday afternoon bake-out. Sometimes I think cloudy skies are a call to bakers everywhere, saying, “YES! It is okay for you to stay inside and spend the time getting that pie crust right!” Well, in our case it was a vanilla wafer crust, so I mean, didn’t totally take that much to get it right. Which of course means we spent less time trying to perfect and messed up a few of the steps :). 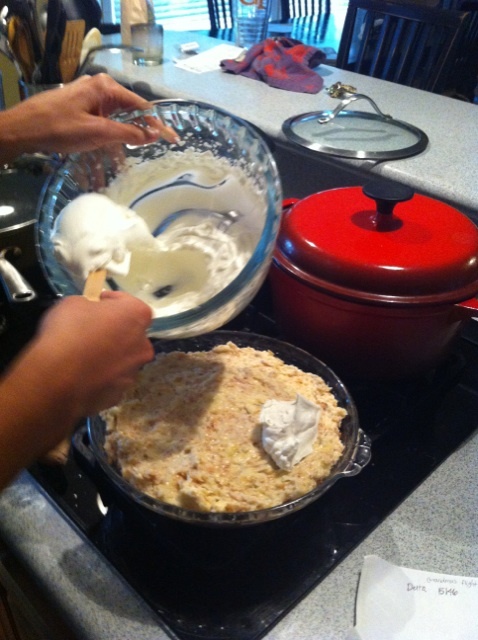 Head over to JoytheBaker’s cookbook for this Banana Coconut Cream Pie recipe. At 5 pm this made a good pre-dinner dessert and was the perfect welcome home present for my Grandma who recently returned from a trip to see my cousins. 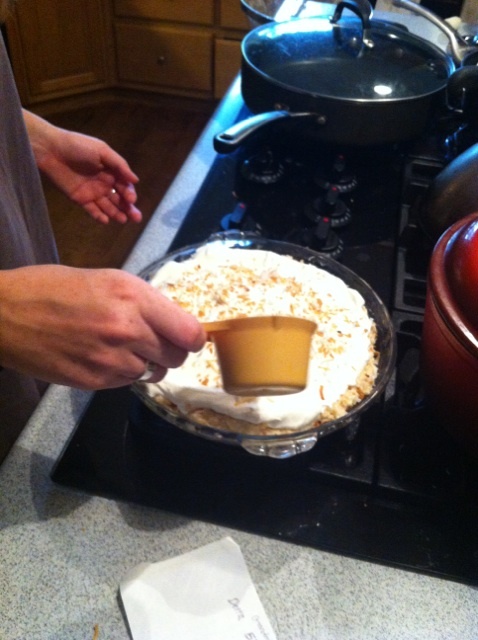 After a fun dinner catching up on our family and her travels, I felt comfortable taking her home knowing she had a cup of decaf and a slice of pie to decompress. Tomorrow morning, I can’t wait to have another slice for breakfast!! 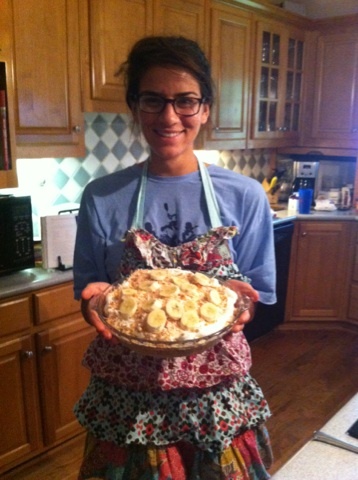 Watching Sisterhood of the Traveling Pants and baking pie with Cessie? What more could I ask for. THANKFUL ❤ CAS. 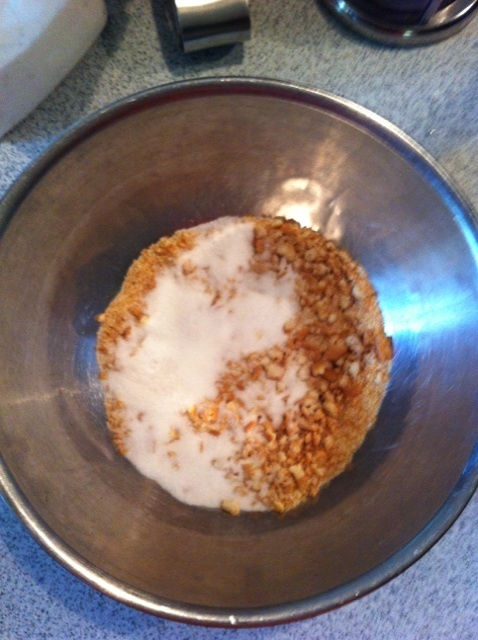 Mixing the ingredients for the crust. We made the mistake of adding ALL the coconut to the nilla wafers and sugar, wooops. So to fix it, we sifted the coconut to get out the sugar and nilla wafers. Then we crushed up some more wafers to add. Everything turned out ok wheww. 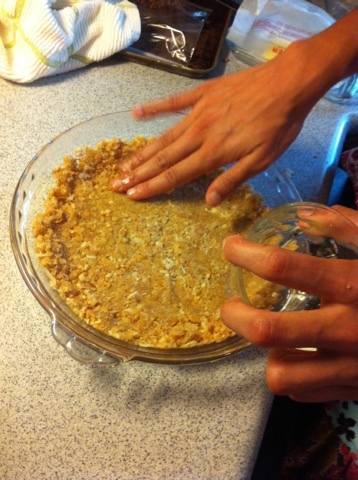 See above for the crust pressed into the pan…saw this tip on a blog I think…take the bottom of a glass and use to smooth out a crumb-based pie crust! 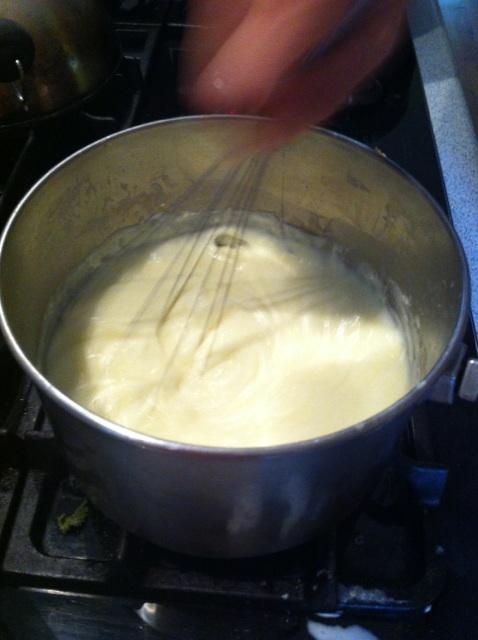 This is the weird egg-yolk sugar, cornstarch, salt mix that goes into the custard. 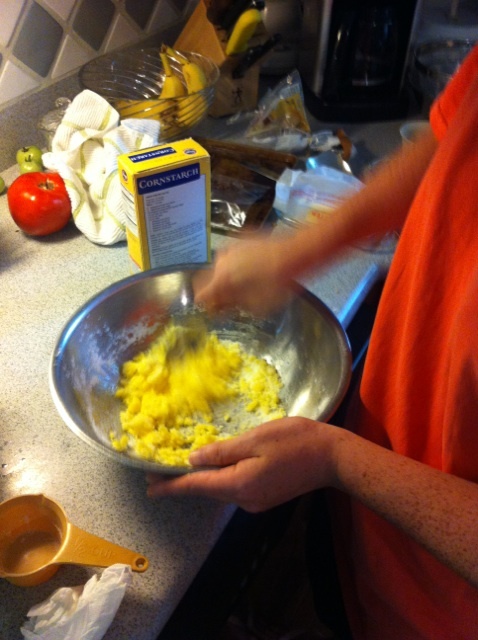 Another tip I can’t believe I never tried was separating egg yolks and whites using your hands instead of the shell. WORKS LIKE MAGIC I don’t know why I’ve been using the shell for so long, but it’s seriously foolproof. Mixing the custard is by far the hardest part. Tempering eggs always makes me nervous (when you add some of the hot cream in the eggs to make sure they don’t curdle when you add into the pan) but it really went okay. This is why it is definitely better to have two people, at least, when you’re working on time-constrained recipes. The only thing that really stinks about this part is the smell of warm milk, no thank you. Ta-da! Custard cooled in the fridge for a few hours. 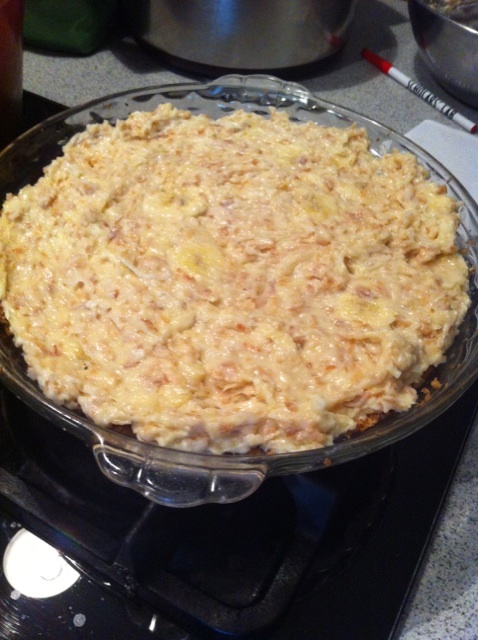 Folded in bananas and some more of the salvaged toasted coconut. Some more sprinkled coconut on top. PS I used a mix of unsweetened and sweetened coconut and it turned out well. YUM. So when are you moving to DC so I can learn to cook from you? Katie and I almost burned down our apartment after attempting to make homemade croutons, remind me to tell you the story.